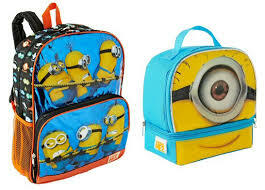 Despicable Me 2 Minion Madness for Back To School! 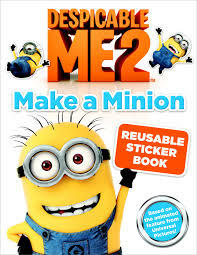 "Kids and parents everywhere are gearing up for Back-to-School, and Minion Madness continues with this adorable, quirky and functional collection based on Universal Pictures and Illumination Entertainment’s worldwide blockbuster, Despicable Me 2. Minions are everywhere! With the Despicable Me 2 "Assemble The Minions" Backpack from Accessory Innovations, kids will enjoy going to school with this adorable backpack featuring the popular Minions (this sentence is not making sense to me). The Minion Backpack measures 16” with side mesh pockets - great for carrying books and school supplies in style! Available at Toys”R”Us, Kmart, and Amazon. Ages 4+, SRP: $12.99-$17.99. Kids will enjoy concentrating in style with their Despicable Me 2 Notebooks and Pens from MZ Berger. The memories of school supplies at a very early age can set the mark for years to come! Despicable Me 2 Notebooks and Pens will make every Minion memory magical! Available at Walmart, Universal and Scholastic. Ages 4+, SRP - $1.99 - $4.99"
What we thought: We reviewed a couple of these cute movie themed goodies and the kiddos really enjoyed them. The sticker book was a lot of fun and they really enjoyed the picture and chapter books as well. If you have a Minion fan in your life, check out all the awesome goodness Despicable Me 2 has to offer for back-to-school season. From clothing to supplies, they've got you covered! The kiddos loved this book and DVD! It really is a cute set. Read on to find out how to celebrate Family Fun Month with NCircle Entertainment and Room on the Broom and then enter the giveaway to win your very own Room on the Broom Combo! Why not kick-off Family Fun Month with Family Movie Night? 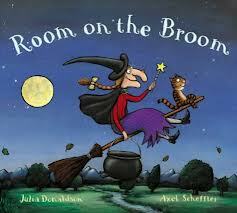 In Room on the Broom, the witch and her cat couldn't be happier, flying through the sky on their broomstick—until the witch drops her hat, then her bow, then her wand! Luckily, three helpful animals—a dog, a parrot and a frog—find the missing items and all they want in return is a ride on the broomstick. But is there room on the broom for so many new friends? The kindly witch thinks there is—much to the frustration of her cat. But when disaster strikes, and the witch is about to be eaten by a fearsome dragon, she is saved by the gang of animals, all working together. The witch’s cat learns the importance of friends and family, and the witch rewards her new friends with a magnificent broom that is big enough for everyone! Beautiful CGI animation brings the book’s drawings to life under the direction of Max Lang. Gillian Anderson (The X Files) provides the voice of the witch; while Timothy Spall of Harry Potter fame, lends his voice to the dragon. Simon Pegg (Hot Fuzz, Shaun of the Dead) narrates the story which also features the recognizable voices of Martin Clunes, Rob Brydon and David Walliams portraying the helpful animals that comprise the witch’s family. Room on the Broom is produced by Magic Light Pictures (the team behind award-winning animations The Gruffalo and The Gruffalo’s Child). Complete Family Movie Night by enjoying together the fun-filled activities available for FREE for download at NCircle Entertainment’s activity site, EntertainmentThatEducates.com, including a coloring page featuring all of the endearing characters from the film; the “find the…” challenge that incorporates counting skills; templates for creating your own Room on the Broom finger puppets; and the elements for creating your very own magical wand! There’s also a word search puzzle and a dizzying maze to navigate. he Room on the Broom has already earned numerous awards and accolades, including Britain’s Royal Television Award for “Best Children’s Program” and France’s Annecy Animation Festival’s Crystal Award for “Best TV Production.” It has been named “Best Animated Short” by the Toronto International Film Festival Kid’s Festival; was the “Audience Choice” at the Cleveland International Film Festival; and was the winner of the Curtinhas Competition for children’s programming at theCurtas Vila do Conde Film Festival in Portugal. • Things to decorate your hat with: glitter, craft foam, felt sheet, etc. • Kids 8 years and younger should use child-safe scissors. • Keep the stapler out of young children's reach. You can create the costume using a black top, skirt and tights, or even a black trash bag! Cut out the head hole and arms, then try on the bag for size to see how much of the bag to cut. Cut the bottom of the trash bag off in zig zags or v-shapes. The part of the bag that was cut off can be used for the belt, or use some rope. Add black plastic over any pair of shoes! Organizher Write-n-Wipe Weekly Calendar + Giveaway! 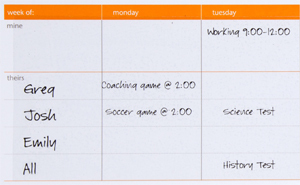 We reviewed the Write-n-Wipe Weekly Calendar from Organizher. 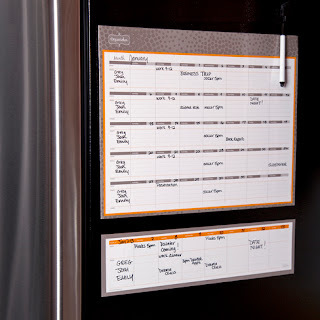 "This slim, magnetic dry erase board features the Organizher weekly grid with Mine, Theirs and Meals sections. It lets you focus on the here and now as you fill in your weekly plan of attack." This calendar easily fit on our fridge. I love it's slim, sleek look. Even though it's small, there is plenty of room for important reminders and meal planning. This calendar is easy to use and reuse. The whole family benefits from having everything in one place where it's easy to find. ABCD Diaries gives the Write-n-Wipe Calendar from Organizher an A! 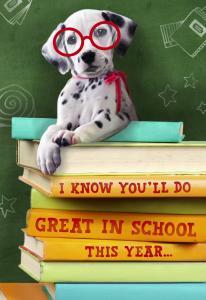 Make Back-to-School Memorable with Hallmark + Giveaway! "The beginning of each school year is a reminder of how quickly time flies. It’s an opportunity to make memories that will last far beyond the classroom years. And, whether it’s kindergarten or senior year, sometimes a simple “You can do it!” helps remind kids that you’re rooting for them, no matter what. 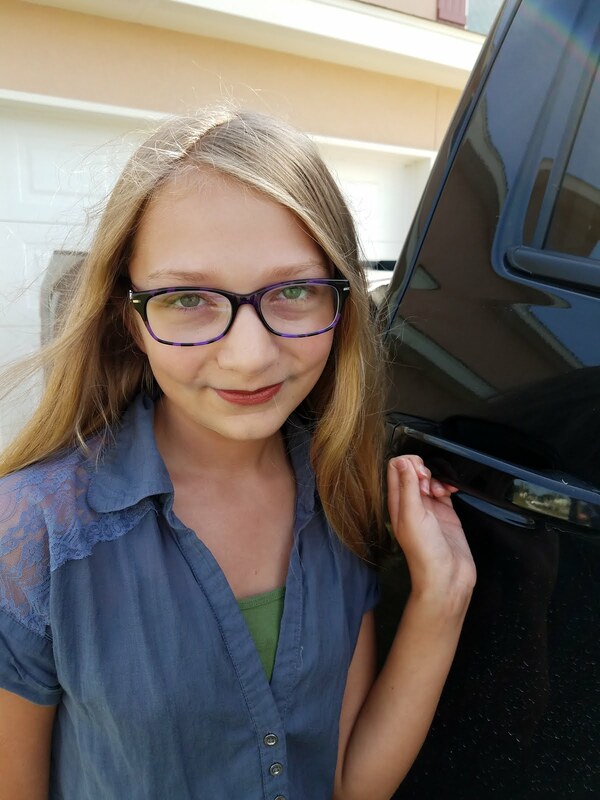 Because the start of a school year can be a whirlwind for everyone, Hallmark wants to help you pause and capture those special moments and celebrate kids as they head back to class with new gift and greetings designed to create lasting memories and share an extra boost of encouragement throughout the school year. 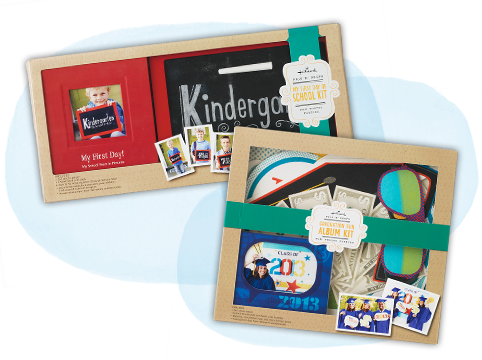 o Pics ‘n’ Props School Days Activity Kit: Capture a child’s first day of school in a creative way with the snap of a camera and Hallmark’sPics ‘N’ Props School Days Activity Kit. The kit includes chalkboards and a frame to document the first day each year — from kindergarten to senior year! Add your photos to the included “My First Day!” photo album to create a lasting memory that can be admired throughout the years. 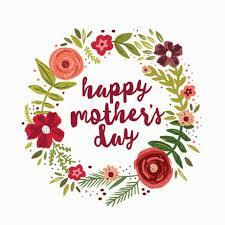 o SO SO Happy™ Greetings: Hallmark’s new line of SO SO Happy greetings help moms connect with their kids in a way they understand and appreciate. From Taco to Tribe, a variety of adorable characters inspire and celebrate positivity, acceptance and love — attributes especially important during the school year. 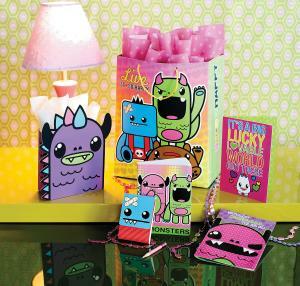 Cards even include fun surprises for kids like shoelaces, key chains and more. 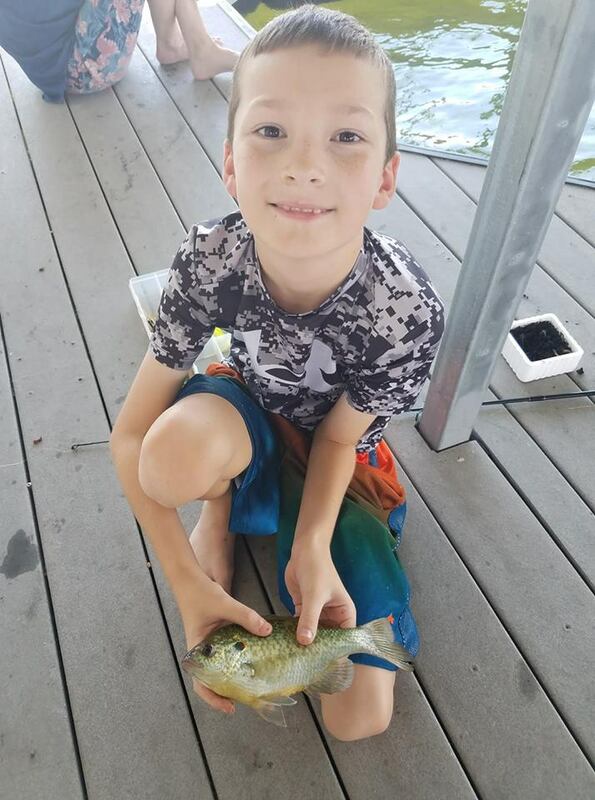 Check out one example below! o Kids Encouragement Greetings: Whether it’s a new social situation, a test, first game of the year or any day of the week, sometimes kids need a confidence boost. These cards feature kid-appropriate topics to help encourage the special kiddos in your life. o Back-to-School Greetings: The newest back-to-school greetings feature furry friends to help you say “Go get ‘em!” to the kiddos in your life." What we thought: The Pics 'N' Props School Days Activity Kit is adorable! What a great way to memorialize your kiddo's school accomplishments:) The kit comes with pre-made inserts for the chalk board or you can write in whatever you'd like. The photo/memory book that comes in the kit is the perfect way to document all the important school info for your child each year. I really love this kit! The selection of cards we reviewed was great as well. From the first day of Kindergarten to the first day of college, there is an inspirational card for everyone. The fun, cute cards are a great way to show you care. The kiddos loved these:) ABCD Diaries gives Hallmark back to school products an A+! Enter to win a great Back To School Prize Pack that includes a selection of cards and a Pics 'N' Props Activity Kit! 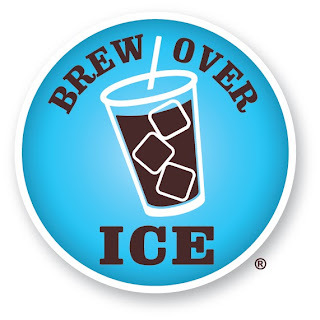 What could be better than a nice iced tea or coffee to cool you off on a hot summer's day? Being able to make it in the comfort of your own home for pennies on the dollar of what the coffee house charges! 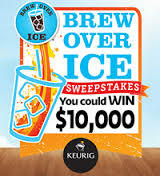 Now you can do just that with Keurig's new Brew Over Ice cups! They offer flavors for every palette. The three we tried were sooo yummy! 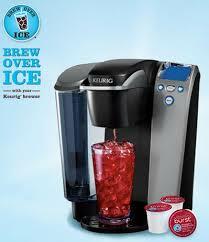 The Keurig system is easy to use and the cups are easy to find at most grocery stores. From KD Novelties:"We are a publisher of personalized children’s books. Our books build self-esteem in children because they become the stars of their very own stories. They are also a unique way of promoting literacy in children." Are you looking for a great gift for a special kiddo? How about a personalized storybook? KD Novelties has a large selection of books with popular children's characters and themes. 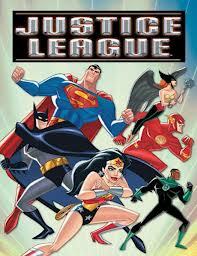 D is really in to super heroes at the moment so we chose the Justice League book for him. He really enjoyed it:) It's always fun for a kid to see their name printed in a book and their character tied into the story. KD Novelties does a great job of doing just that! ABCD Diaries gives KD Novelties an A+! Become a FAN on Facebook or follow them on Twitter for exclusive deals and discounts! 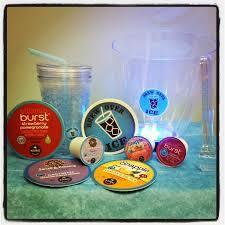 Check out eh great giveaway KD Novelties is hosting via their Facebook page! They are giving away a great Mother Goose Personalized Set! 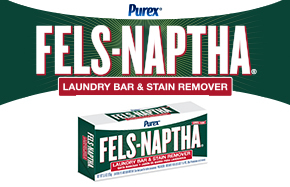 Purex® Fels-Naptha is a laundry bar that works overtime to remove your toughest stains. I was pretty impressed by the Fels-Naptha Bar we received from Purex. I had never tried it or even heard of it before. I must admit, I was a little skeptical at first, but when B told me he'd ruined a shirt working on the truck, I thought I'd give the bar a try. To ,y surprise and relief, it worked! The bar was so easy to use...just wet and rub on the affected area before washing as normal. The dark stains who knows what came out with the first wash! Hooray Purex Fels-Naptha bar! What a great and easy stain treatment:) ABCD Diaries gives the Fels-Naptha Bar an A+! "Lisa Manzione’s new book series The Adventures of Bella and Harry could fit in well as a back-to-school product. Giving kids an introduction to international cities, these books are an excellent way to rev up for the upcoming school year without them even realizing that they’re learning! In each book, two Chihuahua siblings named Bella and Harry lead children through cities like Rome, Istanbul, Edinburgh, and Jerusalem (to name a few). 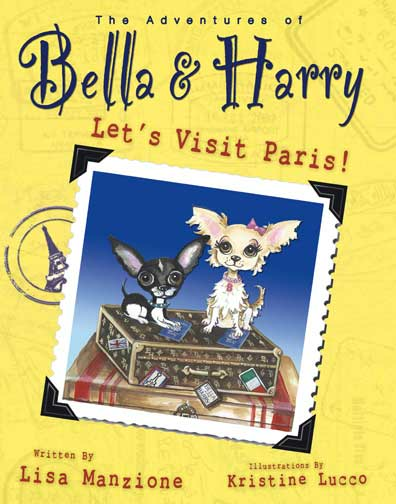 With these expert dogs as their guides, children learn all about foreign cities without ever having to step out of the United States. Culture – Each book includes interesting things like typical food, dress, architecture, and religion. Location—A map of where the city is located, as well as a map of the country itself"
What we thought: This series of books is FANTASTIC! We have been studying Europe this month and these books have been a great addition to my lesson plan. 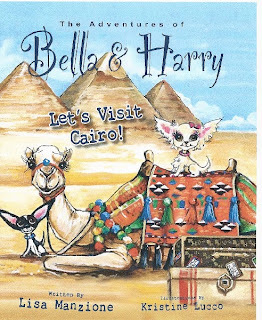 The cute characters of Bella and Harry make learning about other countries so much fun:) The colorful illustrations are beautiful and really catch the kiddos' attention. These books really have enriched our studies and taught A and D geographical and cultural lessons that will stick with them better than a standard textbook could. My little learners always respond better to "living" books better than textbooks and these books really fit the bill! I also love that these books include maps of the country and even a few words in each contry's predominant language. This makes the series an all-around must have for teaching geography in my opinion. Each book is a wealth of information and would be the perfect complement to unit studies on individual countries. What a great addition to any classroom library! 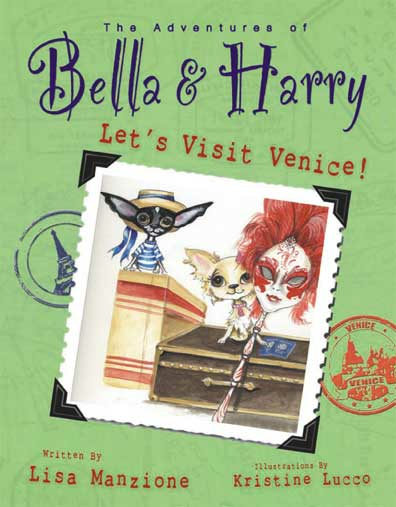 ABCD Diaries gives the Bella & Harry series an A+! The Wholly Guacamole® brand wants to help you make lunch for you and your kids OMGuac -tastic! After all,Wholly Guacamole is the Offical sponsor of the OMGuac Lunch! 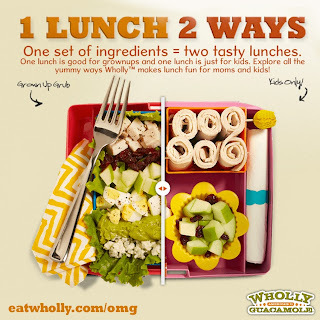 Stop by eatwholly.com/omg for some great ideas, a coupon and a chance to win $100 gift card with FREE Wholly Guacamole products! Three winners are chosen weekly through Sept. 27. The One Lunch, Two Ways gives you inspiration on how to create two completely different lunches with most of the same ingredients! Take a look and print out the shopping list for your favorite ideas. 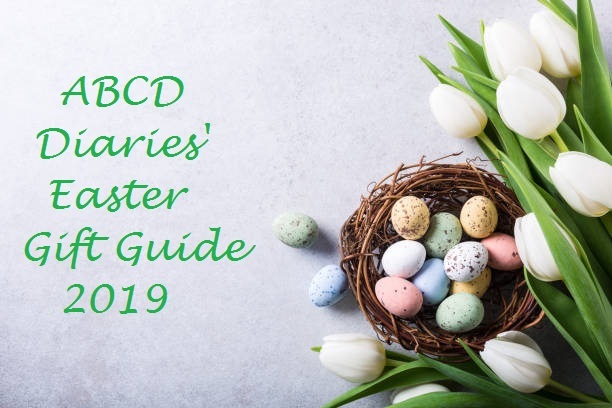 ABCD Diaries was given a sample for review purposes only. We were in no other way compensated. The opinions expressed in this post are ours and ours alone. 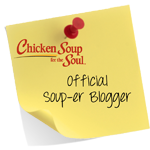 "Tervis, the innovator of insulated drinkware, would love to work with you for a review and giveaway on your blog. Tervis has been making fabulously fun drinkware right here in America since 1946. With a lifetime guarantee, Tervis products keep hot drinks hot and cold drinks cold, are microwave, dishwasher and freezer safe, reduce condensation, and can be personalized for any hobby or interest. Tervis is more than drinkware; it's a lifestyle that's truly an everyday on-the-go outlet to express yourself. Tervis has thousands of designs to choose from, including license agreements with some of the world's most beloved brands and sports teams -- including Fiesta, Disney, Hallmark, Star Wars and many others. Tervis products are available at tervis.com, Tervis company stores, and at 8,000-plus retailers nationwide including Bed, Bath & Beyond, Macys and Bass Pro Shops. Visit us at Tervis.com, Facebook: TervisTumblerCo, and Twitter @tervistumbler." 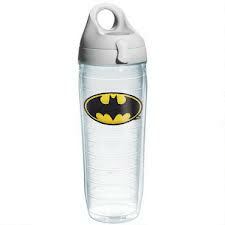 What we thought: D is in love with his new Tervis Batman bottle! I have always been a huge fan of Tervis Tumblers. They are durable and really keep my drinks nice and cold. I am so glad they now carry these fun, kid's themed cups in all sizes and even in the bottle. D uses his bottle every day. It goes will us everywhere and it is holding holding up very nicely. Plus, he gets so many compliments on it:) Tervis has a huge selection of designs and sizes to choose from. 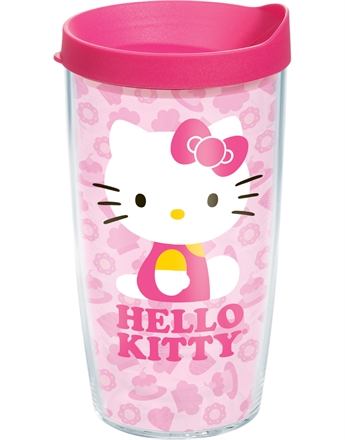 There is truly something for everyone from Tervis Tumblers! ABCD Diaries gives Tervis Tumblers an A+! "This summer, the last guests you want stopping in are ants, roaches, and other pests. So, don’t wait till you have a problem to act! Be proactive and stop the problem before it starts. Raid® Max Bug Barrier: helps you take a preventative measure against a wide variety of household pests by forming a protective barrier around the home"
What we thought: I was really impressed by the Raid Max Bug Barrier we were sent to review. The bottle is super easy to use and we really noticed a decrease in bugs in our home after we sprayed it around the perimeter of our house. 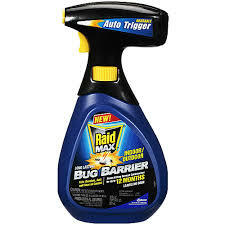 Whether you want to keep the bugs out or get rid of the ones that have already made it inside, Raid has a large line of products to send those buggies packing! With a website full of tips, Raid has made it super easy to keep our home as bug-free as possible:) ABCD Diaries gives Raid an A+! "Has the summer heat made your clothes irritating on your skin? Snuggle Exhilarations is here to the rescue! The new formula can bring your family a longer-lasting softness AND freshness. 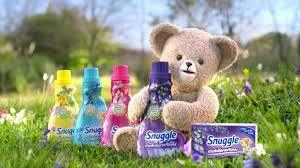 Snuggle costs less than the leading brand, and promises long lasting freshness for up to 30 days! What we thought: The scents of Snuggle Exhilarations are ahhhh-mazing:) It was really hard to pick just one to sample, but we finally settled on Blue Iris and Bamboo Silk. It was really lovely! Snuggle always leaves our clothes smelling great and feeling soft and is sensitive enough for our little one's skin. No matter what the season, Snuggle always makes us feel more comfortable in our clothes:) ABCD Diaries gives Snuggle Exhilarations an A+! Enter to win a free voucher for Snuggle Exhilarations below! 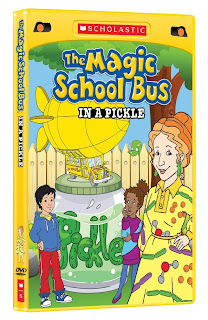 "Take a fun and education-filled road trip this summer with Ms. Frizzle and her incredible bus, as everyone's favorite teacher makes learning exciting with two ALL-NEW DVD releases: THE MAGIC SCHOOL BUS: REVVING UPand THE MAGIC SCHOOL BUS: IN A PICKLE! Explore everything from the smallest cell to the largest galaxy in twelve never-before-available episodes of the Emmy Award®-winning TV series in THE MAGIC SCHOOL BUS: REVVING UP. Each of the three discs in the set - "Under Construction," "Getting Energized" and "Cracks a Yolk" - contains three new episodes running the gamut from computers and electricity to city critters and desert adaptation. And each DVD also contains a special bonus episode adding up to more than four-and-a-half hours of Frizz-tastic fun! Ever wonder what's behind a peculiar smell? 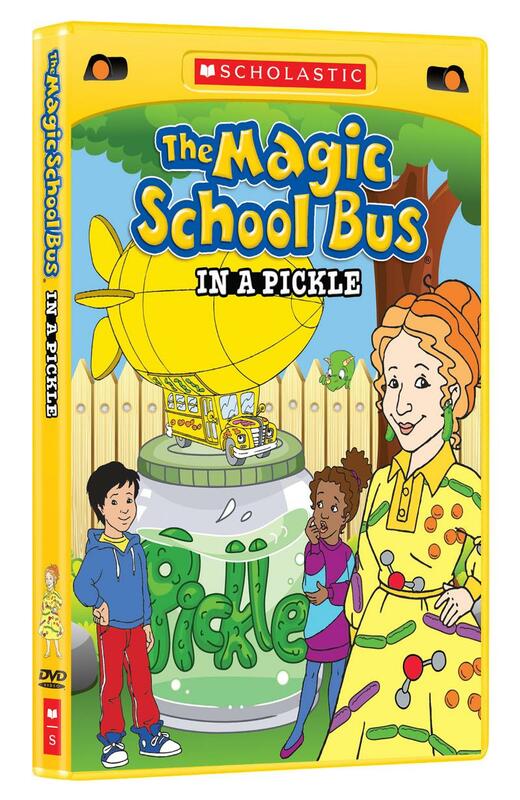 Viewers who hop aboard the bus for IN A PICKLE are sure to find out across four never-before-released episodes including the title episode about microbes, along with "Meets Molly Cule," "Makes a Stink" about smell and "Meets the Rot Squad" which covers decomposition. Grab a seat and hang on in these all-new releases from the best-selling DVD franchise of the longest-running science series for kids to ever air on television." 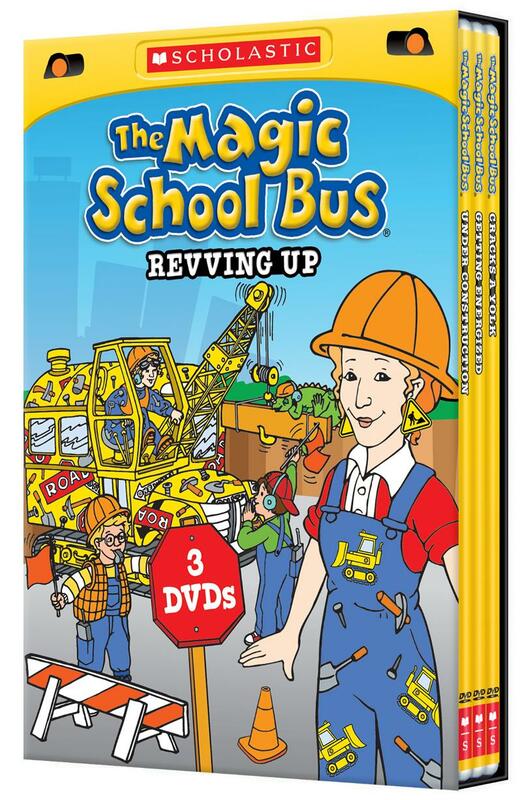 As always, the kiddos loved these Magic School Bus DVDs! This series is one of the best ways (IMO) to teach kids scientific concepts in a fun colorful way that really sticks with them. This series of books/shows and hands-on experimentation is our family's favorite way to explore the world of science. There seems to be an episode for almost every topic we've discussed in our science studies and they make great tie-ins to our lessons. We love, love, love them! ABCD Diaries gives The Magic School Bus an A+! Whole Foods Market offers healthy alternatives for everyone’s breakfast favorites. · 365 Everyday Value® Organic Morning O's – This cereal staple is a great start to any morning and is also easy to pack for a quick snack time fix. · 365 Everyday Value® Organic Whole Wheat Flakes – Packed with fiber, protein and whole grains, help little ones kick start the day with a smile on their faces (and yours, too). · 365 Everyday Value® Organic Mini Waffles – A timeless breakfast option available in three hearty flavors: Homestyle, Blueberry and Apple Cinnamon. · 365 Everyday Value® Organic French Toast Sticks – Delicious and portable, for a filling grab-and-go breakfast. · 365 Everyday Value® Organic Soymilk – This non-dairy milk alternative – available in three flavors: Original, Vanilla, and Unsweetened – adds fiber and protein to the breakfast table and is also gentle on lactose-intolerant tummies. · 365 Everyday Value® Organic Animal Cookies Classic Vanilla – These pre-portioned packs are always a guaranteed hit with the kids. · 365 Everyday Value® Organic Diced Pears in Organic Pear Juice from Concentrate – Delicious and refreshing, these perfectly portioned fruit cups complement any lunch! · 365 Everyday Value® Organic Yogurt – Add a dose of protein and calcium to your child’s lunch with these tasty organic yogurts available in four creamy flavors: Vanilla, Blueberry, Raspberry and Strawberry. · 365 Everyday Value® Organic String Part-Skim Mozzarella Cheese – High in calcium and a good source of protein, these fun-to-eat snacks are available in two varieties: Light String Cheese and Low-Moisture String Cheese. · 365 Everyday Value® Organic Fruit Strips – Available in six fruit-tastic flavors: Peach, Berry Blend, Cranberry, Strawberry, Cherry and Blueberry, this snack time favorite will have your kids begging for more! We reviewed a sampling of Whole Foods Market 365 Everyday Value products and every one of them was a huge hit! 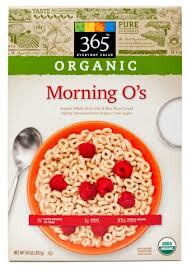 The Organic Morning O's are perfect for a quick, but healthy breakfast. They keep the kiddos full and they are able to focus on their lessons. The pears and animal cookies make great morning and afternoon snacks without adding too much sugar to the kiddos' diets. My thought is, if they love healthy snacks, why offer them the alternative of an unhealthy, over-processed super sugary option? Our favorite 365 Everyday Value products are the Organic Fruit Strips. They come in a variety of flavors that our whole family LOVES and these will definitely be an item we have regularly, whether school is in or not! ABCD Diaries gives Whole Foods Market 365 Everyday Value products an A+!